Make the holidays a little brighter with this DIY Scrabble ornament. 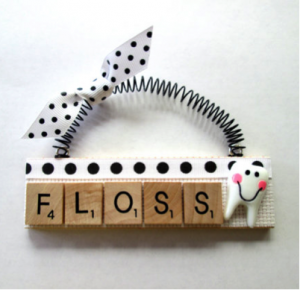 After the holidays are over, your dentist can hang the ornament in the office. 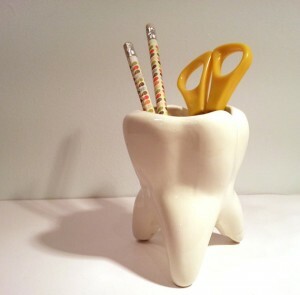 The front desk always features dental chotchkes, and we think you can never have enough! This molar pencil holder is a conversation starter and doubles as a planter! This molar mug is sure to fill your dentist with joy. . . as well as with coffee, water, tea, or whatever he or she drinks! 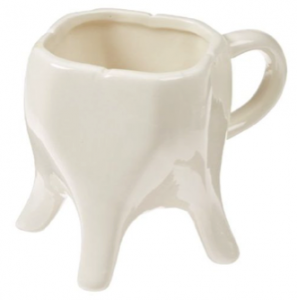 Looking for another dental drinking vessel? We secretly love this dental diva wine glass! 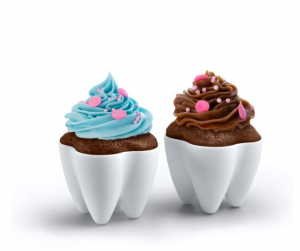 How sweet is this sweet-tooth baking mold? 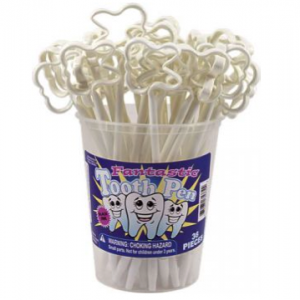 Your dentist or dental hygienist will be the hit at the next office party! Here’s the gift that keeps on giving! These dental pens can be handed out to kids and adults alike, spreading smiles to more than just the dental office staff! Image via GiggleTime Toy Co. Dental professionals do so much to help make our smiles bright and healthy. 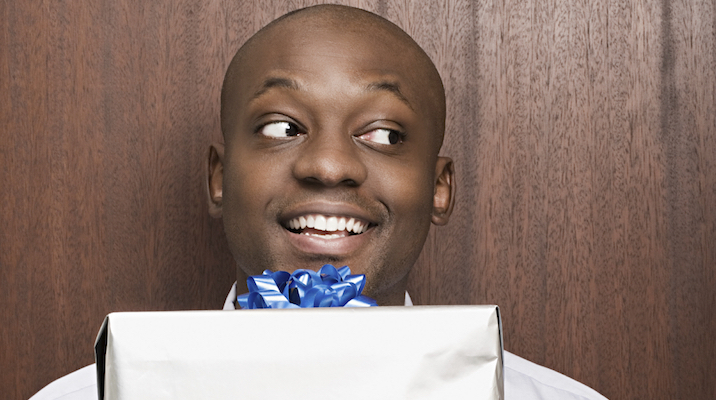 We hope these gift ideas inspire you to give the smile right back. If you’re more of a DIYer, you can deck the halls with some homemade treasures.